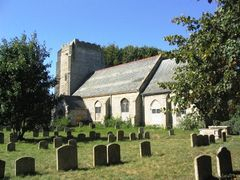 Kenneth's Grandfather William Rickwood was the sexton at St Mary's Church. Ione and Iris playing cricket above, and Ione playing tennis below - 20 years later. Iris' daughter Del, and her cottage below. Below that is Castle Douglas. 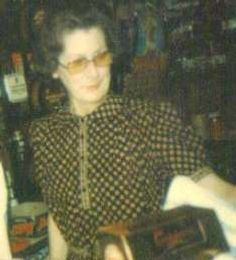 My mother, Ina, was a remarkable woman; most mothers are to their children, but Ina even more so. Her father, Franz, brought his rich Scottish Ancestry to our family, and her mother, Ione, brought her Cheshire heritage. In between there was the Horbury connection where the Horners met the Races. Ina Hunter was born on the 24th April 1926 in the year of the Tiger, like myself, and like her father before her. She was one of twins but the other died soon after birth. When mum passed away on the 10th November 1987, there were the words of a song that she had written on a piece of paper by her side. She had suffered a debilitating illness that had aged her, physically, twenty years in two years, and she had finally collapsed and died in her flat. The song in question was “Memory”, which she had on a cassette tape I had given her a few years earlier. A beautiful recording of it by Judy Collins. To this day, those lyrics are as powerful and haunting as when first we found them by her side. They seem to be her way of saying goodbye while trying to fight on. Fate wouldn’t allow her any more time. “Memory, all alone in the moonlight / I can smile at the old days / I was beautiful then / I remember the time I knew what happiness was/Let the memory live again.” Of course, the lyrics of "Memory" are universal to most people nearing the twilight of their lives, but not many write out these words just before they die. Mum was very much alone at this time. Not physically because she had children, grandchildren, friends, and neighbours nearby. But in other ways she was alone. Her memories would have held much sadness and what might have been. She had been let down many times in her life and left disappointed. I would have been one of her disappointments, through no fault of my own or hers. Being a fellow tiger, I know only too well how we jungle cats can be our own worst enemies, and how we act on impulse, only to regret it almost immediately. My last memory of mum was a beautiful dolphin thank-you card she sent, ten days before she died, following my last visit. The song goes on to say, “I must think of a new life And I mustn't give in” and this says much about her because she was a fighter who stood her ground. She was always ready to start a new life and accept challenges. 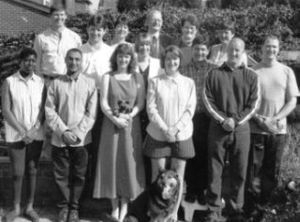 She worked hard all her life and in 1965, when the opportunity presented itself, she went into partnership to run an old peoples home in Suffolk. 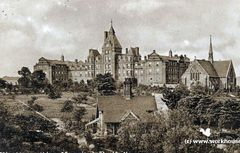 The experience that she had gained as a nurse at Essex Hall Hospital and Jane Walker Hospital held her in good stead, and for twelve years she ran Rushbanks House as well as a person could, only to discover that she hadn’t read the small print of the contract and wasn’t actually a partner. She left Rushbanks, pretty much penniless, and having been robbed of a small fortune. Click on "Memory" below. It's also the song you heard as you entered this page. Mum's song. Mum's three children holding dogs though mum herself was very much a cat lover. Undeterred, she worked at Windy Ridge Boys Home for a year before moving to Norfolk to be with her youngest daughter, Jane and her grandson, Daniel. 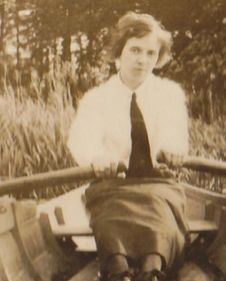 Here she helped run the Norfolk Broads Hotel, and showed that whether working with senior citizens, difficult teenagers on remand, or hotel guests of all ages, she was equally at home. In her last few years, she had a flat in a small community of elderly people and was their good neighbour in every way. In all these situations, she was among people and communities but didn’t have a partner, since her acrimonious split in 1965 from her husband, Bernard.Who can say what happiness or fulfillment is? My own impression was that mum was very lonely but would never allow anyone to know it. She rarely, if ever, seeked help and remained this way to the end. My childhood memories of her were of a vibrant, dashing person who I was very pleased to have as my mum. Perhaps because of their work commitments and timings, mum and dad didn’t see enough of each other, and maybe this caused them to grow apart. They had married in 1952 in London. Bernard was one of nine children who had grown up in the Rhonda Valley,Glamorgan. He was seven years older than Ina, and both worked in the nursing profession. More details of Bernard in his own section. 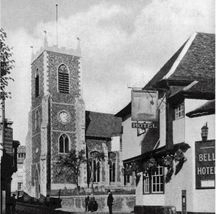 They had moved to Colchester following the birth of Sharon Julie in Hackney in 1953, and stayed with a widower, Albert Loveday, in Mill Road. 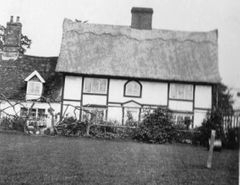 Bernard eventually obtained his own house further up the road, a house owned by Severalls Hospital where he worked. Jane Elizabeth was born on New Years Day and a photograph of mother and daughter subsequently appeared in the Essex County Standard. The rest of Bernard and Ina's time together is chronicled under Bernard's section on this page. 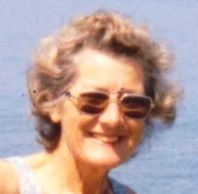 Mum moved to Norfolk in April 1979, having lived her life mostly in Yorkshire, London, and Colchester. 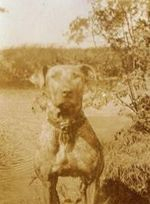 But she had actually come home because it was in Hopton, Diss that she was born, along with her brother Alastair. 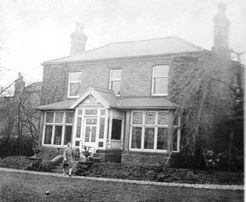 Her parents had a small farm there, Church Farm, and lived there until the late 20s when the family moved to Northfield House, Horbury,Wakefield. It was here where the family established their roots and where Ina grew up, and was educated at Wakefield Girls High School. I know little of her from then, other than she was in the Land Army during the war. Mum rarely spoke to me of her past. Her marriage to Bernard may have gone wrong in the end, but I’m sure they had happier times at the beginning, and it’s wonderful to see the old photos of us all as a family group. Like any grandmother, she dearly loved her grandchildren, Daniel, Kerry and Ben, and they made her life very rewarding in her twilight years. She had a lot of time for Jane’s husband Eric Bridgwood, and for Sharon’s partner Richard Schofield. She bonded well with them and regarded them both as her sons. She really was a most giving and welcoming person. Bless you mum, and I know that you have found peace where you are now. A history of our family is long overdue, and I wouldn’t have been here to write it if it wasn’t for you. As the song says: ‘let the memory live again’. Namaste. Mum's favourite singer Edward Woodward singing one of her favourite songs. Above is Edward - This is your Life Above is Edward TV-am in 1983 - rather psychic!! 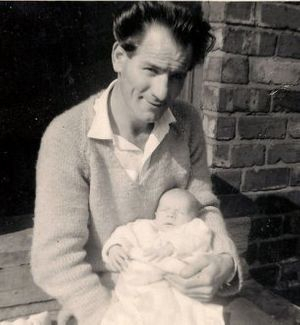 Alastair was born on the 29th of November 1923 in Hopton, Diss, Norfolk. His name, more than any other in our family, represents his heritage. Lowndes from his mother’s side. Race and Hunter from his father’s side. The three major families in our tree are all present in his name. He has continued this tradition in the naming of his own children, incorporating ancestral surnames into their middle names. Indeed, his first child was given the Lowndes surname as his christian name. His second daughter was given his mother’s name, Ioene, and she also has Lowndes as one of her middle names. Nicholas, like his father, has Lowndes and Race as his middle names, and this continues with many of the children. No one has done more to keep the tradition of our family going than Alastair. The Lowndes and the Hunters would be very proud of him. 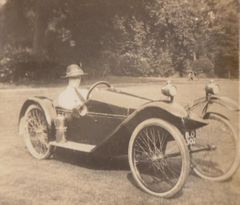 Alastair’s parents, Franz and Ione Hunter moved to Horbury in the late 20s, and Alastair recalled the family handyman driving them up in a Ford T Bird which had several punctures on the way. Alastair was educated at Wakefield Grammar School. 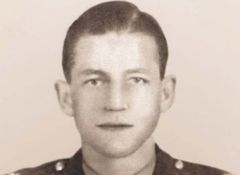 During World War Two, he met and married Melody Ann Bargate. Melody was born on September 4th 1928. Her family had a tea plantation in Sri Lanka. Alastair and Melody settled in Yorkshire, and eventually moved to Horbury. Alastair had grown up at Northfield House in Horbury and now he was living just a few yards away at Chestnut House. He was now a neighbour of his mum and dad. Rosemarie was their first child, born in 1948, followed by Lowndes who sadly died young. Ioene was born in 1952, Nicholas in 1955 and Sarah in 1958. Giles in 1960, Hugo in 1963, and Justin in 1965 made it three boys in a row. Rebecca born in 1967 and Emma in 1969. They also adopted Peter, James and Vanessa. I was fortunate enough to meet Vanessa twice during visits she made to London in the late 1980s. A nicer person you could not wish to meet, and this can be said for all of Alastair and Melody's children. Quite simply, the most wonderful family one could ever meet. New governments frequently talk of returning to traditional family values and standards. They should visit the family of Alastair and Melody and take several notebooks with them. My most vivid memory of Alastair is his laughter, a distinctive, warm sound that resounded around Chestnut House during my visits there as a boy. Melody, too, had that wonderful laughter. Such joyful celebrations of life must have had an immensely positive effect upon their children because they clearly have inherited this. As the years went by, Alastair and Melody’s children had children of their own and kept the Hunter name very much alive. Ioene moved to Canada with her husband Jim Davidson but regularly comes back to see her family here. 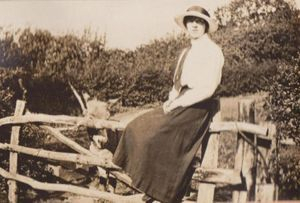 Rosemarie, Alastair’s eldest daughter, married Ralph Booth and settled in Wakefield. Eventually, rather magically, Alastair and Melody moved to a house backing onto Rosemarie’s. 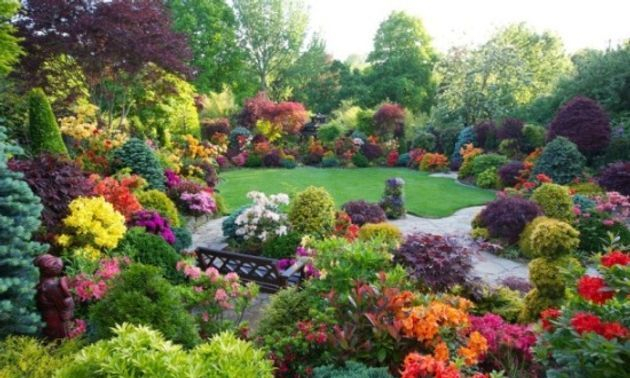 Such free movement from one garden to another exemplifies the closeness of the family. No other family that I know of has maintained such a close-knit togetherness over the years. Over sixty years together, Alastair and Melody are still going strong. Two remarkable people. Since writing this in 2009, Alastair, sadly, has passed away at the age of eighty-seven. He left a loving family on Monday, July 18th, 2011. His family's Facebook memories are quite remarkable. These tributes show the love and esteem he is held in. One is particularly struck by the upbeat and positive nature of the messages and verses. Alastair's wonderful sense of humour is so reflected in them. How he must smile as he reads them. He has left his family in the most wonderful hands, and I cannot imagine a person still so much alive. Alastair, thank you for all you have done for so many people, and will continue to do. Bless you, Uncle Alastair and Auntie Melody. HUNTER ALASTAIR LOWNDES RACE Passed away peacefully with his loving family at his bedside on Monday July 18th 2011 in his 88th year. Alastair is survived by his beloved wife of 63 years, Melody and their twelve children: Rosemarie (Ralph) Booth, Ioene (Jim) Davidson, Nick (Jan), Sarah (Steve) Cost, Giles (Gillian), James (Hazel), Hugo, Justin (Allison), Vanessa, Rebecca(David) Holley, Peter (Ewelina), and Emma (Dave) Simpson. Also survived by his dedicated 25 grandchildren (Matthew pre-deceased) and his 13 great grandchildren (plus 1 yet to be born). 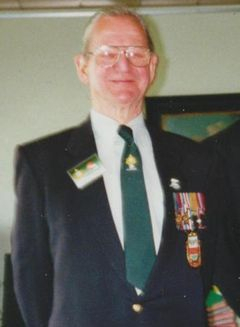 Alastair was an officer in the Reconnaissance Corps 49th (West Riding) Division known as the 'Polar Bears' during W.W.2 and served in France, Belgium and Holland. After the war he worked in a manufacturing company and was a Company Director before he retired. A dedicated, loving husband and family man who will be sadly missed. His funeral will take place at Blessed English Martyrs Church, Dewsbury Road, Lupset on Wednesday July 27th at 10.30am and afterwards at noon in Wakefield Crematorium. There will be a reception to follow at the St Ignatius Parish Centre, Ossett to celebrate a life well lived. 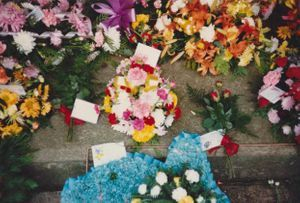 In lieu of flowers, Alastair had requested that donations to the 'Salesians of Don Bosco' would be gratefully received and a box would be provided at the Church. He also asked that people attending his funeral dress in bright and cheerful colours! The above photos were taken in 1995 at my home, showing Alastair and Melody at their smiling best. I found these details of Alastair's Life, published on Saturday 30 July 2011. 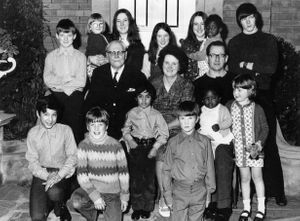 A LARGE house in Horbury, near Wakefield, and their love of children allowed the D-Day veteran Alastair Hunter and his wife Melody to have nine of their own children, adopt three others and foster and at least seven more. One of the liberators of Utrecht, Captain Alastair Lowndes Race Hunter was injured by shrapnel from an 88mm gun shell at Fontenay-le-Pesnel following the D-Day landings. With two other officers, he wrapped bandages around his arms before they were able to rescue some Canadian soldiers while surrounded by enemy attackers. Later, near Nijmegen in Holland, he was blown out of his scout car - his driver was killed - and as a result lost the hearing in his left ear. Captain Hunter, who has died aged 87, was born near Diss in Norfolk. His father was a Flight Sergeant with the Royal Flying Corps, flying a Sopwith Camel. 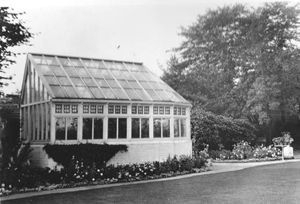 He had an elder half sister and a younger sister, and in 1929 the family moved from Norfolk to Northfield House in Horbury. He went to Queen Elizabeth Grammar School, doing well in classical subjects and languages – a big help when in due course his own children studied them. After matriculating in 1939, now aged 16, he tried to enlist but was refused because of his age. He worked as a messenger boy until able to enlist in 1941, joining the Royal Armoured Corps. After basic training, he went to Sandhurst and became a troop commander in the Reconnaissance Corps. His regiment was attached to the 49th West Riding Division, and embarked for Normandy where it was part of the D-Day amphibious operation, landing at Arromanche on Gold Beach. The fighting that followed was bloody, and it was then that Lieutenant Hunter (later to be Captain) was wounded. Towards the end of the war he was posted to Ceylon (Sri Lanka), and at a dance in Kandy he met Melody Anne Bargate, the daughter of a tea planter. By chance they met again at the end of the war when Lieutenant Hunter was returning to England on board the Monarch of Bermuda, and Melody, allowed to travel as she was taking her youngest brother to school in England, was one of the few civilians on board. After the war, Captain Hunter was posted to various places in the Far East in clearing-up operations. 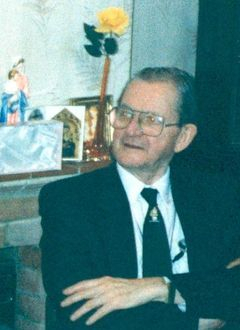 In 1948, he and Melody were married. He obtained a place at Leeds University, but finances were such that he was obliged to give it up and get a job. Meanwhile, Mrs Hunter now pregnant with their first child, returned to Ceylon to live with her mother until things improved in England. 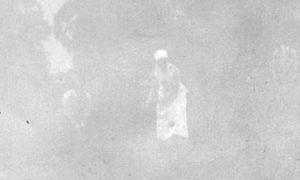 This meant that he did not see his eldest daughter Rosemarie until she was over one-year-old. Captain Hunter found work at Northfield Industrial Fabrications in Ossett where he would become general manager and company secretary. 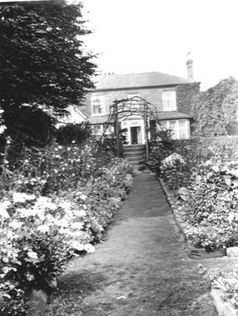 Mrs Hunter returned to England and from their first flat in Horbury, they moved into a succession of larger properties as the family grew. Around 1966 his old shrapnel wound began leaking, and an examination showed that the splinter was moving towards his spine, he was sent to Chapel Allerton Hospital, Leeds, for emergency surgery to save his life. When Northfield Industrial Fabrications eventually folded, he bought into a Renault dealership in Middlestown before finally working for his son Giles, fitting shops for computer sales, and stayed to help until he retired. A stickler for correct grammar, he was committed to his children’s education, constantly chauffeuring them to guides, scouts, music lessons and school. A practical man, Captain Hunter carried out his own home improvements, kept the family home decorated, repaired things that most people would simply throw away, and kept the family supplied with vegetables and fruit from the large garden, and eggs from the hens. Additionally, for many years, he and Mrs Hunter were prison visitors. In the late 60s he converted to Catholicism and was to remain a staunch parishioner at English Martyrs, Lupset, Wakefield. He was a member of the finance committee and was involved in the parish until he became housebound four years ago. A leading member of the Society of St Vincent de Paul (SVP), he visited the sick, poor, housebound, and worked as a volunteer at a hostel for battered wives. A lover of foreign destinations, after selling the large family home, he travelled widely, visiting Australia and New Zealand among many other places. Humorous and an incorrigible tease, he knew how to take advantage of his impaired hearing by ignoring what he did not want to hear. Captain Hunter is survived by his wife Melody and their children Rosemarie, Ioene, Nicholas, Sarah, Giles, James, Hugo, Justin, Vanessa, Rebecca, Peter, Emma, 25 grandchildren (1 predeceased) and 13 great grandchildren. 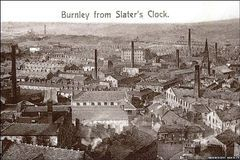 Constance was born on the 29th of May in Burnley, the only daughter of Franz Hunter and Alice Barr Stevenson. See Franz’s section for further details. Constance was named after her father’s beloved aunt, Constance Mary, wife of the painter George Sherwood Hunter. Poor Constance was only eighteen months old when her mother died. With Franz’s marriage to Ione in 1922, seven-year-old Constance finally had a mum again. The following year in Hopton, she had a brother with the birth of Alastair. As her eleventh birthday approached, Constance at last had a sister, with the arrival of Ina. The family was complete. By the time the family moved to Yorkshire, Constance was in her mid-teens. In due course, she, attended Cheltenham Ladies College. Like Alastair, she must have taken to the White Rose County because she lived the rest of her life there. In the late summer of 1941 she married Leonard Hill Skirrow, a solicitor from Headingley, Leeds. 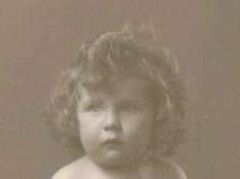 He was born on March 3rd 1917, the only child of Arthur Skirrow and Nellie Dora Hill. His parents had married in 1915 in Leeds but Nellie married a Thomas Ewart Verity in 1927.With Constance having lost her mother in her infancy, it looks as if Leonard lost his father at an early age too, though I haven’t found a date to confirm this. Leonard and Constance’s only daughter, Jill, was born at the end of 1942 in Wakefield, and their only son, Ian, in 1949 in Leeds. Here they made their home in Headingly. 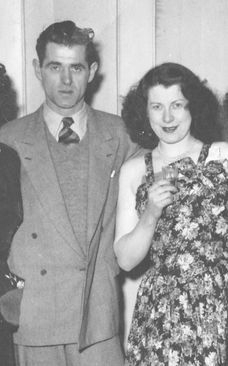 Constance and Leonard were together for fifty-four years until they both passed away in 1995 in Adel, Leeds. 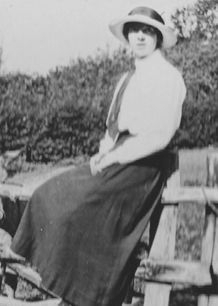 Seventy-six years earlier, Constance’s Great Aunt Constance and Great Uncle George Sherwood had also died within a few months of each other. Rather poignant and rather beautiful. I have fond boyhood memories of staying with Auntie Constance in Ilkley Moor where she would rent a cottage, and I would get to know such beautiful places as Wharfedale and Appletree Wick. It is nice when we are able to share a close bond with our father, and this is something Constance achieved with hers. Bless you, Auntie Constance and Uncle Leonard. Kenneth was born on December 27th 1927 in Marylebone,London. He was the son of Evelyn Rickwood and Franz Hunter. 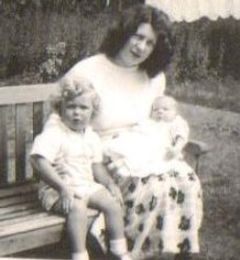 Evelyn was born on the May 7th 1909 in Thetford, Norfolk, youngest daughter of William and Minnie Rickwood. They had married in 1898 when William was thirty-seven and Minnie was twenty-three. Their son William Leslie was born in 1907 and Minnie Matilda in 1906. A fourth child was called Leslie. The extent or length of the relationship between Evelyn and Franz is not known. 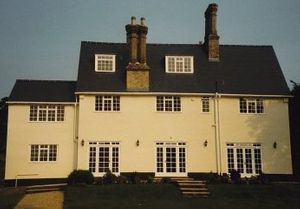 Thetford and Franz’s home in Diss are not far apart, and local people recall seeing them at dances together as well as travelling together in a Hillman Saloon.The reason this is known is because enquiries were made by the Foundling Hospital in London, to which Evelyn turned when Franz didn’t accept his being the father. These enquiries attempt to track down the fathers of such children. Being already married and having three young children of his own, made a union between Franz and Evelyn impossible, but one wishes, in a perfect world, there was some way of putting right such situations. On 2nd April 1928, feeling she was unable to support Kenneth, Evelyn managed to get him admitted to the Thomas Coram Foundling Hospital, Redhill, Surrey. Sadly that was the last she saw of Kenneth because the Hospital didn’t allow communication between mothers and children.They even changed his name, as was the policy, and he became known as Daniel Oldacre. Evelyn wrote three times,enquiring of her son to no avail. Later that year she met Henry Byles, a wood machinist from Uxbridge and they were married in Thetford. They settled in Uxbridge where Leslie Byles was born in the summer of 1929. He was their only child. 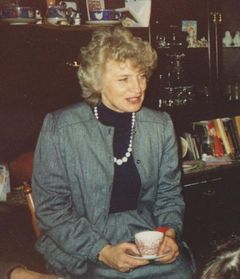 Evelyn died in Camden in May 1989. 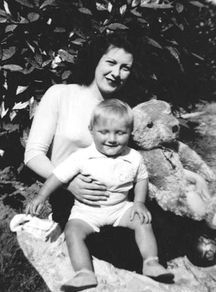 Meanwhile, Kenneth, still very young, moved to Brookers, Shipbourne in Kent to live with Jane Tapp, foster mother. Then on 3rd May,1933, he moved back to the Foundling Hospital. 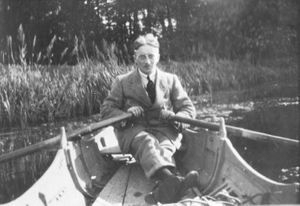 In July 1935, he moved with the Hospital to their new premises in Berkhamsted until October 1942. 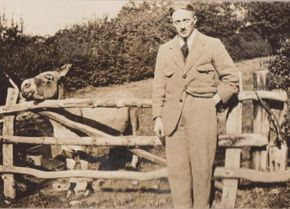 Kenneth then left the Foundling Home to enrol in the Army Technical School in Chepstow. He eventually settled in Lancashire, and married thirty-six year old Irene Bebb in 1962. Danny Oldacre was born in Blackpool on March 15th 1963. 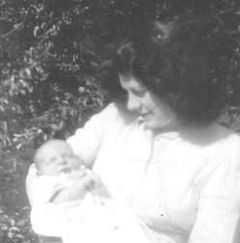 Irene passed away in 1967, so young Danny, like his father, grew up without his mum. But he had his dad and through his and his partner Jen’s,efforts, Kenneth learned something of his ancestry at the age of eighty! He is now eighty one and only saw a picture of his mother for the first time in 2008. Apparently he still climbs roofs to do odd jobs and can turn his hand to most things. He once said that his favourite work was being an apprentice blacksmith. Kenneth and Evelyn’s story is a very poignant one and teaches us many things. 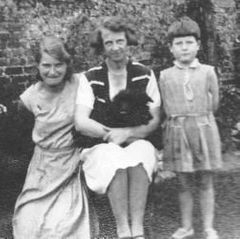 That Kenneth should have at last seen his mother in picture and know of his half brother and sisters is rather moving and ends a sad story on a positive note. Since writing this section, Kenneth passed away on Tuesday, 6th October 2009 in Blackpool. He had been suffering from a cold virus and his condition deteriorated. 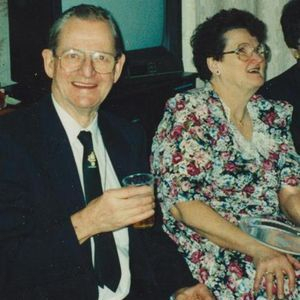 He was cremated in Blackpool on Friday the 16th and his ashes were buried alongside Irene Bebb in Rochdale. It would have been nice to have met you Kenneth but that wasn't to be. Rest in peace, Uncle Kenneth. Franz Rudolf Hunter married Ione Chaddock-Lowndes on the 27 of September 1922 at Astbury Church, Cheshire. It had been a long journey for both of them, but finally with Franz now 32 and Ione, 31, they had made it. Franz was living in Leeds at the time and Ione at Ramsdell Hall. 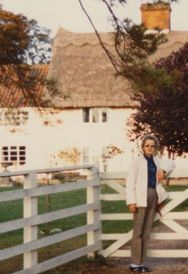 They would move to Church Farm in Hopton,Norfolk, where Alastair and Ina were born. Eventually, about 7 years later, they would move back to Yorkshire and settle in Northfield House, Horbury. The marriage lasted 44 years until Ione’s death in 1966. Franz, now partially sighted, came to live with his daughter Ina in Suffolk where I got to know him well as a true friend. He was born on September 6, 1890 in Mannheim, Germany, the youngest of six boys. His father, Alexander Boddie Hunter, had moved his family there, for reasons of work. Franz,consequently, grew up bilingual and once told me that, even whilst speaking English, he thought in German. Quite when the family returned to England, I’m not sure. Franz’s brother, Stringer, was staying with his uncle James in Aberdeen in 1901, but I think the rest of the family were still in Germany because no one else appears in the 1901 census. 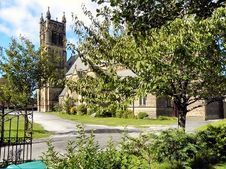 However, Franz was baptised on August 23rd, 1891 at St Peter and St Leonard's Church in Horbury. The certificate stated that he was living in Worms on Rhine at the time. To the left is Mow Cop Station where Franz would alight from the Manchester train. Above is the entrance to Ramsdell Hall. On the right is a poignant letter informing Franz of the death of Thomas Chaddock Lowndes. Grandpa Franz used to recount stories of his Ramsdell Hall experiences and the enthusiasm with which he told them to me, made me fall in love with our ancestral home. He had brought two oil paintings of Ramsdell with him and the sheer magnificence of the building left me in awe. I vividly pictured Franz travelling with Ione and others from the Hall to Hanley Music Hall, by canal at times, or ice-skating at Rode. 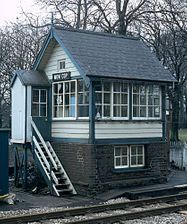 He described embarking from the Manchester train at Mow Cop station, and walking a few steps to the imposing front gates of the Hall with its twin griffins on top. 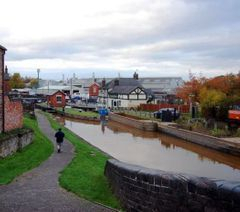 In September 1970, having followed the canal from Kidsgrove, I too walked from the station (then closed) to those gates and was hospitably received by the lady of the house. The wonderful pint of Marston mild at the Station Hotel giving me the courage to follow in his footsteps 60 years on. Quite what Franz’s relationship with Ione’s parents was I don’t know for sure.The impression I’ve always had was that, whilst Franz was welcomed as a visitor to the Hall, he wasn’t seen as a future son-in-law. Certainly, the passing of Thomas Chaddock-Lowndes in 1912, didn’t precipitate wedding bells for Franz and Ione. Instead, with the advent of World War One, he became a sergeant with the 1st Battalion Royal Fusiliers, regimental no. L/10190. He served under the name of Francis R Hunter which was a wise move on his behalf. 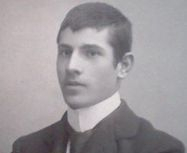 He disembarked in France on the 7th of September 1914, the day after his 24th birthday. He later served with the 32nd Training Reserve, regimental number, 104148. 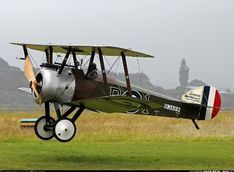 Franz became a flight sergeant with the Royal Flying Corps, flying a Sopwith Camel. His regimental number was 187852. On August 9th, 1917, he was transferred, probably demobilized. He had spent four days behind enemy lines some months earlier. 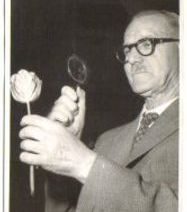 Post War, he was presented with the 1914 Star with clasp and roses. By this time, a new chapter had begun in his personal life. 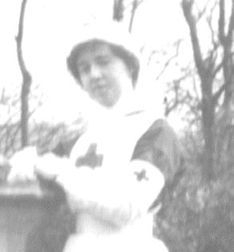 In 1914, he met Alice Barr Stevenson and on the 29 May 1915, Constance May was born in Burnley. He never spoke of her to me and the circumstances surrounding their relationship remain a mystery. Had his relationship with Ione ended? They had seemed very much in love but perhaps obstacles remained in their path. For whatever reasons, Franz had met someone else and at the age of 24, he was now a father. He had married Alice on the 14 April, 1915, six weeks before Constance’s birth, so he was doing the correct thing in the circumstances. She was named after the wife of Franz’s Uncle George Sherwood, the renowned artist of the Newlyn School. Evidently a favourite aunt of Franz. Alice was the youngest of two daughters born to Thomas and Christiana. She was born on Sept 23, 1892. Thomas was a joiner, hailing from Scotland, like Franz’s father, and Christiana was from Liverpool. Alice died early in 1917, leaving Franz a widower with an eighteen month old daughter. He had been listed missing, thought shot down, around this time. So poor Alice may have passed away, thinking her husband dead. The following year, Ione’s mother passed away, and some time later, or even before, she and Franz got together again. This had been a very difficult period for Franz. As well as losing Alice so young, he had lost three brothers in the war. 1919 was a devastating year with his mother Sarah dying, relatively young at sixty three, and also his beloved uncle George Sherwood Hunter and his aunt Constance Mary. He was approaching thirty years of age and must have wondered what more could happen. Franz had used his engineering skills during the war as a Sergeant Mechanic at Castle Bromwich, inspecting the Handley bombers and going out on test flights. 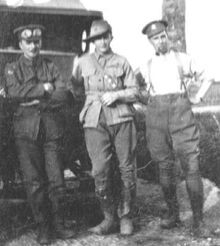 After the war, both he and Roddy Chaddock-Lowndes worked for Sherwood Hunter’s engineering firm. 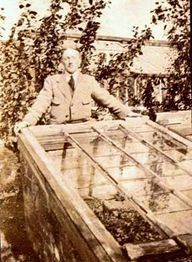 Once married to Ione, he began another chapter of his life at Church Farm in Norfolk where he developed his horticultural skills. On November 29 1923, he became a father again with the birth of Alastair Lowndes Race. The Lowndes part of his name via Ramsdell Hall branch, and the Race part from Franz’s mother’s maiden name. His first name coming from Franz’s father’s Scottish roots. Ina Elizabeth Race came along on the 24th of April 1926 with again, ancestral roots evident in her name. 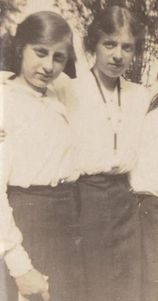 Ina had a twin who died shortly after birth. These seven years in Norfolk saw Franz as a goalkeeper with Bury St Edmunds FC and enjoying musical pursuits too. He also regularly travelled up to Huddersfield, where his brother Sherwood lived, to watch Huddersfield Town play. And how they played, winning the League title in 1924, 25 and 26.Grandpa often spoke to me of Huddersfield, and particularly of the star player, Alex Jackson, The Gay Cavalier. Alex became one of the Wembley Wizards of 1928, when his team, Scotland beat England 5-1. Something was to take place in early 1927 that would put an end to life in the sleepy Suffolk/Norfolk borders. 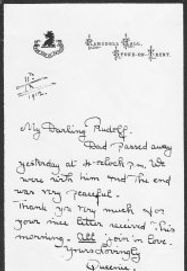 Franz met Evelyn Rickwood, from nearby Thetford, and on December 22 1927, Kenneth George Rickwood was born. What then followed or the extent of the realtionship is not clear, but soon after, Franz’s Uncle William Race came up from Horbury with George Green, the father-in-law of Franz’s brother Stringer. It was decided that Franz and Ione should move up to Horbury with a view to eventually inheriting Northfield House from William Race. 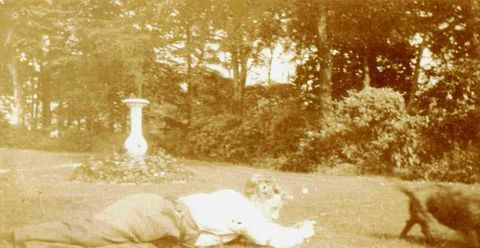 With William’s passing in 1929, Franz and Ione made the move to Horbury and lived there until Ione’s passing in the summer of 1966. 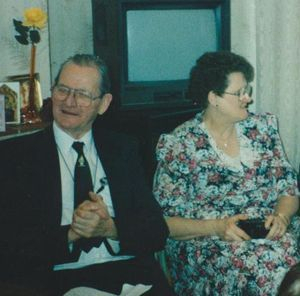 Kenneth and Evelyn’s story is chronicled under Kenneth Rickwood. 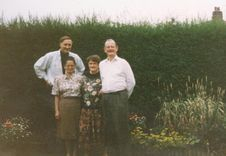 Ina, Alastair and Constance, thereafter, grew up in Horbury, and Franz went on to play a major part in Horbury society. He had his own music band, was chairman of the Wakefield Tulip Society, and he bred lemon spaniels. 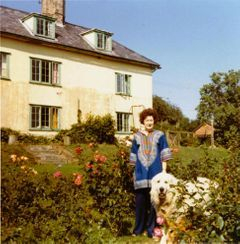 I fondly remember the smallholding at Northfield House during my summer vacations there. Particularly, the raspberries, which were Franz’s pride and joy. Most of all, he loved his cricket, and every year he would go to the Scarborough Festival to watch Yorkshire play. 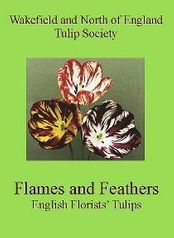 I was told by the editor of the Wakefield and North of England Tulip Society "We have two cups among the many society trophies for which we still compete which are connected to the Hunter family. These are the F R Hunter cup and the G S Hunter cup. The G S Hunter is probably the most significant to you as it was presented by F R to the society in memory of his brother G S (George Suart) who died of his war injuries after the first world war." 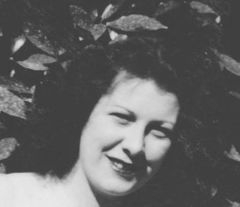 My mother Ina was a dutiful visitor with her three children and whatever she had gone through being a single mother in the early 50s, she never neglected her family responsibilities to her parents. It was her home in Suffolk, which Franz eventually came to live in, and she did everything a daughter could do to make her now blind father’s last few years happy ones. During those holidays in Horbury, I had never connected to Grandpa Franz in the way that I did with Granny Ione. However, during the time I knew him at Rushbanks, a strong bond was formed between us and in many ways, he became a father figure to me. Never having known my real father, and with Bernard and Ina’s divorce, Grandpa became the most important male figure in my life—more than he or anyone else will ever know. His passing in early 1971 left a void in my life that was never filled.We laughed at similar things, we talked passionately of cricket and played music together, as two tigers might. He’d known more than his fair share of tragedy during and just after World War One, and gone on to live an interesting life. He made mistakes, some of which had severe repercussions. If our soul lives each life in order to learn lessons, then Franz’s learned many. Ione Chaddock-Lowndes, or Granny in Yorkshire as I fondly knew her, was born on September 3rd, 1891. 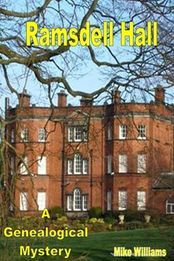 Her father Thomas had finally moved into his ancestral home, Ramsdell Hall, after it had been leased to the Williamsons for fifty years. Almost immediately, a daughter was born to Emilie, now aged thirty nine, seventeen years after her last child,Thomas, had been born. Sadly, Pauline died within three days, but the following year, twin girls were born. Ione and Iris had arrived. The one picture I have of them shows them to be very different in features. They are immortalized in Irene Procter’s oil paintings circa 1896 where they are pictured on the lawns that sweep down to the Macclesfield Canal (see both in Iris section)A further oil portait of Ione, painted by her mother, fairly takes one’s breath away with its colour and texture. It's now been beautifully restored by my sister Jane and art dealers rate it highly. It must have been amazing for the twins and their younger brother Roddy growing up in such surroundings which included woodland and two small lakes, beside the splendour of the Hall itself. 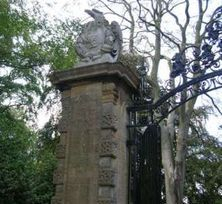 Their parents were very much of the landed gentry, having inherited the fortunes of a sizeable estate from Thomas’s mother,Elizabeth Chaddock. With her mother Emilie coming from a large family, there were lots of cousins coming and going. 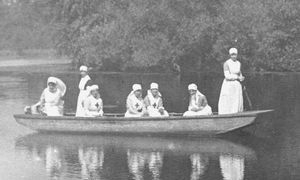 Amongst Ione’s pastimes were rowing, tennis, cricket and ice-skating at Rode. The photograph of her in a cricket match shows someone who knows how to hold a bat. 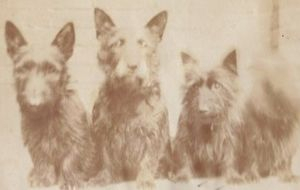 She had a love of dogs as the picture of Scottish Terriers, Peggie, Toodie, Polly and Cheddie shows. Jill looks to be a much larger dog. I don’t know how and when she met Franz Hunter but it was certainly before 1912. He came from a very different background, but there was a family connection going back a few generations where his mother’s side the Races connected with Ione’s mother’s side the Horners. I wonder if the Chaddock-Lowndes were aware of this. 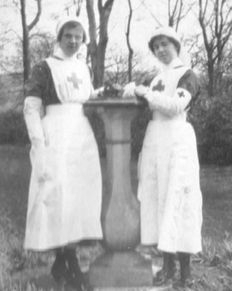 It seemed that Ione had lost Franz once the war started,as he went into the Royal Flying Corps and married Alice, whilst she became a nurse at Rode Hall hospital, caring for wounded servicemen. However, fate was on their side and they re-kindled their love affair after the war. Ione’s parents had passed away by that time and she and Franz were married in 1922. Ione was still living at Ramsdell Hall, though it was soon to pass out of the family. She had had to wait until she was thirty one but it had worked out in the end. 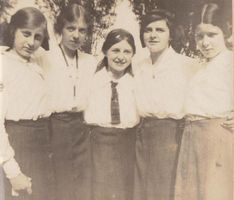 The rest of her story is documented in Franz’s section. I have the fondest memories of her during our summer holiday visits to Yorkshire. She was a gentle, soft-spoken person who always made time for me. Sitting alongside me in the kitchen, as I shook a dice and raced plastic zoo animals across the kitchen table. It was the year of the Olympics as I recall, and Ione must have wondered what strange kind of grandson she had, spending his time in this way. The crocodile had an unfair advantage on the rest of the animals and invariably won. It was lovely to have known Granny in her later years, but it would also have been nice to have known her in her younger days. Perhaps to have tested her cricket batting skills with a swinging yorker or to have rowed down the canal with her. My Time Travel novel has given me the opportunity to meet her in her youth, though as she is only five during my visit, it is more collecting wild flowers than playing cricket. Ione died in the Spring of 1966, as did her brother Roddie. 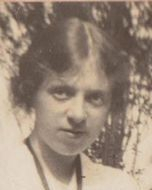 Ione’s sister, Iris, whom I know little of, was born in 1891. Her family called her 'Birdie' and I have some of her beautiful handwriting in an album of Ione's. Although twins, they were quite different looking, with Iris being shorter and having a rounder face. Iris married her cousin, John Gerard Horner on the 25th of June, 1825. 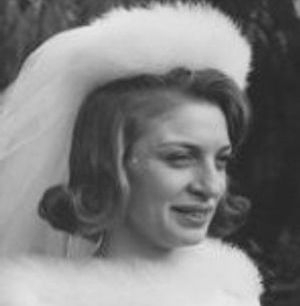 Unusually, this was a double wedding with her brother Roddie marrying Marjorie Horner at the same time. Both Marjorie and John were cousins to Iris and Roddie on their mother’s side. 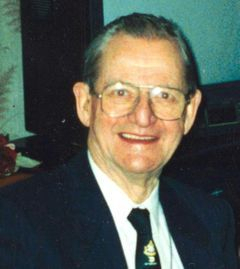 John was the descendant of Joseph Horner while Marjorie was descended from his brother James Horner. John was the son of Joseph Arthur Horner and Ethel Cope. 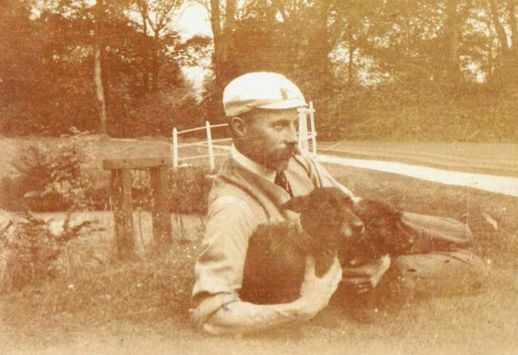 He was born in 1885 in Altrincham, one of five children. The family regularly visited Iris’ home at Ramsdell Hall. He was one of the many solicitors in our family. Sadly John died on January 26th 1939, aged fifty-three, and Iris was only fifty when she passed away on the 4th of August 1942. 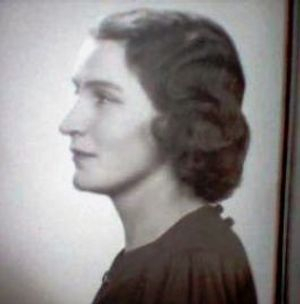 Iris and John had one child, Asphodel Hope Horner, born on May 24, 1930. She has lived in Castle Douglas in Scotland for many years and was a member of Urr Community Council. My mum often spoke of her cousin Del, and I recall Christmas presents from her. She visited us at Rushbanks and made sketches of it. Del lost her father when she was nine and her mother when she was twelve, but at the age of eighty was still playing an active part in her local community. I was so pleased to have made contact with her in 2009 when I started this Family History. Some nice newsletters between us and Festive Season cards. 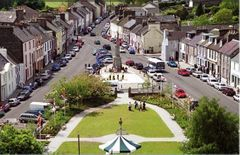 Here is a Parish Profile of Del, better known as Jackie, from the March 2012-May 2012 Parish Newsletter of the Parish of Corsock and Kirkpatrick Durham with Crossmichael and Parton. I was very moved as I read it, and you can read it in full on the left. Sorry that it is small as it is here, but id you download each page, it will enlarge quite well. Thank you to all concerned for such a beautiful tribute to a wonderful lady, whom I am honoured to be related to. Sadly, Del passed away in the evening of the 24th February, 2015, at a nearby care home. Del was 84 years old, and will be missed by many in her local community. 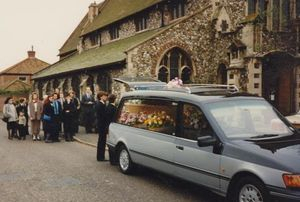 Her funeral took place on March 9th at I pm at her local parish church. Opposite you can see her semi-detached cottage, "Viewfield" situated in the village of Springholm. Below that is the nearby town of Castle Douglas. Bless you Del or as the villagers knew you ... Jackie. 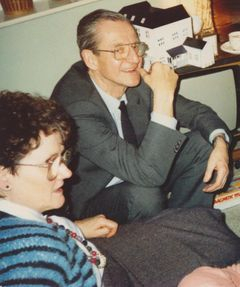 As a boy, visiting Uncle Alastair and Aunty Melody, I met Roddie, then in his 70s. 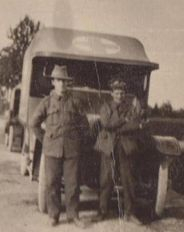 Roddie served in World War One, and he and his brother-in-law, Franz, worked for Sherwood Hunter’s engineering firm at one time. 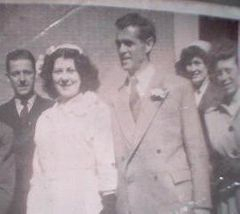 Roddie married his cousin Marjorie Horner on June 25 1925 in a double wedding with Iris and John Horner. 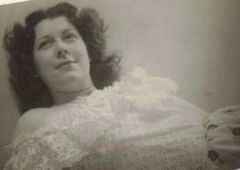 Marjorie was born on June 1st 1900 (see also under the Horners section) and was from James Horner's branch rather than Joseph Race Horner's. She was one of the many Horners who visited Ramsdell in those Edwardian days. 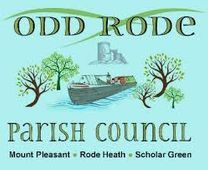 Roddie and Marjorie stayed in the area, living in one of the cottages at Old House Green. 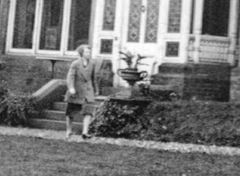 From 1939 until 1966, they lived in Beech Avenue, Gatley, Lancashire. 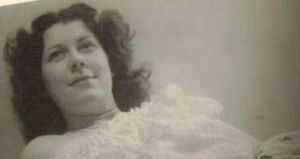 Their only child, Isabel Luna was born on November 2nd 1926 in Cheadle. She was handicapped and affectionately known as 'Tinkerbell'. She lived in a nursing home in Oxfordshire and eventually went on to independent living in Oxford. Isabel died in Bullingdon, Oxfordshire in the last quarter of 1993. She was the last of the Chaddock-Lowndes. Roddie died in May 1966, within ten days of his sister Ione. 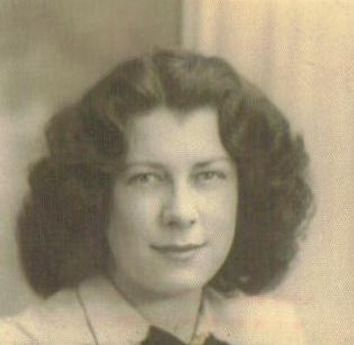 Marjorie was also known as Aunt Tiggy, and after Roddie's death, she lived on an Oxfordshire farm with Mary Bernard Mackay, the daughter of her sister, Luna, who had died in 1965. Mary's son Andy recalls Marjorie as a ' lovely woman ' and his wife Sarah recalls Mary telling her of Marjorie and Roddie's times at Ramsdell Hall. Marjorie died in Bullingdon in 1977, at the age of seventy-seven. 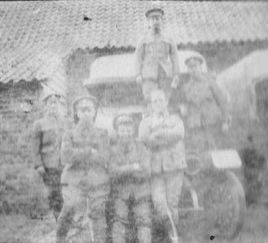 The two photographs below and the one opposite left show Roddie in 1917 serving in France with the First Field Ambulance Division of the Anzacs. The Australian and New Zealand Army Corps (ANZAC) was a First World War army corps of the Mediterranean Expeditionary Force. Field Ambulances were mobile medical units that treated wounded soldiers very close to combat zones. 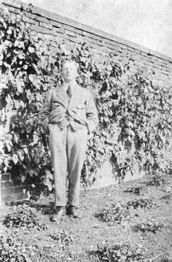 Thomas was born in Sandbach,Cheshire on August 22, 1873 and grew up in Hastings before his father finally reclaimed Ramsdell Hall. 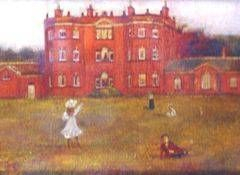 Tommie would have been in his mid-teens then, and whereas Rosalind married and moved to Astbury, Tommie remained single and fully embraced life at the Hall. He must have felt Rosalind’s tragic death in 1899 more than most, having grown up with her. A railway employment record for April 5, 1890 tells us that he was working for London and North Western at the age of sixteen. He must have been quite an enthusiast because he wouldn't have needed the money. A railway employment record for April 5, 1890 tells us that he was working for London and North Western at the age of sixteen. He must have been quite an enthusiast because he wouldn't have needed the money. A useful record because it also told us his date of birth. Tommie never married, and was living at 11, West End Avenue, Gatley, Cheshire when he died on July 14, 1934 at the age of sixty. 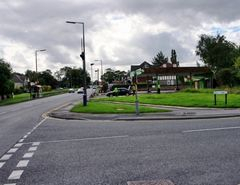 His brother Roddie was living in Beech Avenue, Gatley at the time. He was still a man of considerable means with his personal effects nearly £6000. His brother-in-law and solicitor, John Gerard Horner, was his Will's executor. We know that Ramsdell Hall was still in the family in 1922 because Ione was married from there. However, it passed out of the family hands soon after, and a hundred and a 108 year era was over. Spiritually, however, it remains in the family. Pauline was born on May 20th 1890. Her parents must have known that she was poorly because she was christened the following day at St James Church in Congleton. She died on May 23rd and is buried at St Mary's Church in Astbury with her ancestors. I had previously thought that her parents were already living at Ramsdell Hall by this time, but her christening place suggests that they were possibly living in Congleton. So the move to Ramsdell might have taken place shortly after Pauline's passing. Ione’s eldest siblings, Tommie and Rosalind didn’t grow up at the Hall. They were born nearly 20 years earlier in Cheshire but grew up in Hastings. The sea was to play a major part in Rosalind’s life in due course. She was born in Congleton in 1872, but baptised at Christ Church, Blackpool, Lancashire on 13/10/1872. The Lowndes had always had strong ties with Lancashire, and her mother was from Manchester. 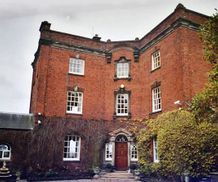 Rosalind and Tommie were well into their teens when their father, now retired, decided to bring his family home to Cheshire and take up residence in their ancestral home, Ramsdell Hall. It must have been some change from the seasise resort to rural Cheshire, where now they were landed gentry. The arrival of three more siblings in the 90s would have been equally eventful. 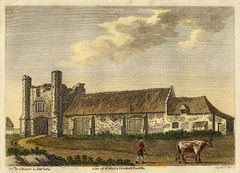 Rosalind met Francis Cartlidge of Astbury, whose family had been sextons and parish clerks at St Mary’s Church for 200 years. Francis Richard Cartlidge was christened on February 3rd 1867, one of six sons and two daughters, Lucy Elizabeth and Frances Annie, born to William and Emma Cartlidge. Frances had died in September 1864 aged 4. William, born in 1816, had taken over as sexton of the parish in 1861 from his father, John, born 1782. William farmed eighteen acres and had married Emma Haycocks on 30 September 1851.Francis’ elder brothers Edward Wade and William Parsons were railway clerks and Joseph was a teacher. So it was Francis who became sexton, following his father’s death on the 17th of February,1893. He married Rosalind on 28 Mar 1894 at St Paul's Church, Southport. Again we have the Lancashire connection when one might have expected them to have been married at St Mary’s, Astbury. They moved to The Poplars in Astbury. Sadly, Francis died from gastric influenza on the 16th of October 1898, and Rosalind was a young widow at twenty-five. Francis’ brother Edward took up the sexton duties, keeping their family tradition going. Rosalind was only twenty five when she died, and following the death of Pauline Grace in 1890, aged but three days, Thomas and Emilie had lost their second daughter. Update August 2010: Thank you so much to Carole Dougall: " My maiden name was Cartlidge. Francis Richard being a member of my tree. Evidently Rosaline's grave site is at Rocky River on Kangaroo Island. She was only known as Mrs Cartlidge, so I rang the keeper of the web site of "Remote Graves" and informed him of her full name and maiden name. Wish I had found this site first. So much work but what a result." 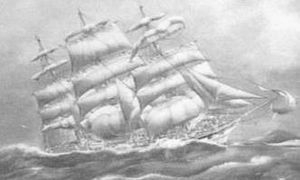 Update: 24 February 2013: I have just discovered a little more information about Rose from "The Last Voyage of the Loch Sloy", a 30 page booklet I came across yesterday. I have yet to find the author's name, but he might be the great-grandson of the Loch Sloy's captain. It became a very impressive book in Dec.2016 "Windjammer" with the author being Paul Simpson. 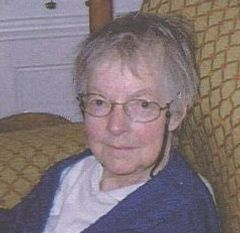 Next was found the body of Rose Cartlidge described as being a well built woman 5’2” in height with dark hair. The other four bodies found were all naked, headless and male with no marks that made them easily identifiable. 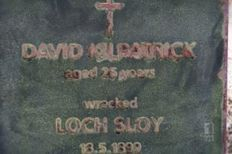 All nine bodies were buried above the high water mark in shallow graces dug down through the sand to rock which were then covered with large rocks. The work was done in almost complete silence. As the last body was interred at 2:00pm there was a collective sigh of relief. Constable Shegog read the Church of England burial rites over the dead and then the exhausted and traumatised searchers decided to head back to Charles May’s home at Rocky River arriving at sundown. 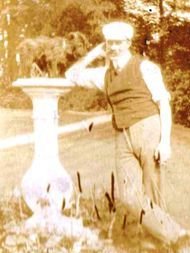 Thomas Chaddock-Lowndes was born in 1840, and it was he who was responsible for bringing the Hall back into family focus. Too long it had been leased to the Williamsons, and without his initiative and determination in the late 1880s, we wouldn’t have the memories that we do have of this magnificent building. He was not the first child that his mother Elizabeth had named Thomas. She had lost her first Thomas, aged four and at the same time, her daughter Elizabeth, aged two. His elder brother William, had inherited the estate but died in 1860 aged twenty-four, leaving Patience Chaddock, his widow. She died nine years later. Thomas had lost his father, William,before he was ten years old. So it had been a difficult start to his life. He was sent to Edward Wilson’s private church boarding school at Buglawton around this time. Later, he trained as a solicitor and lived in Congleton with Mary Broadhurst and her daughter Mary. By 1871, he was living in Biddulph with two servants. He was now in practice as a solicitor. He must have looked longingly at nearby Ramsdell Hall, determined to one day live there. That same year, he married Emilie Horner in Manchester. Emile’s grandmother Jane Race Horner is an interesting link here. Her great-grand nephew was Franz Hunter who eventually courted Emilie’s daughter, Ione. Emilie and Thomas were surely aware of this family connection and that Franz was family already! Once married, Thomas and Emilie lived in the Congleton area. 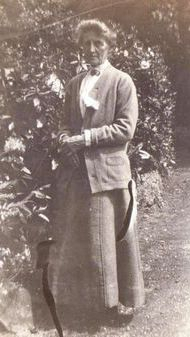 Rosalind Blanche was born in 1872 with Thomas William following in 1873. 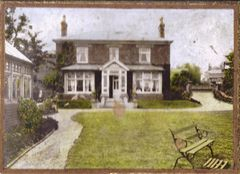 A little later, they moved to 16, Magdalen Road, Hastings, where Thomas is described as a retired solicitor in the 1881 census. 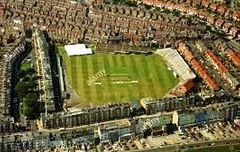 His mother, Elizabeth, had lived with his sisters at nearby, St Leonards on Sea, before moving to Old House Green. It is her death in October 1882, and the full inheritance of her estates, that precipitates the events that eventually lead to Thomas’ move back to Cheshire and in due course Ramsdell Hall. This was delayed for some years because the Hall’s then occupants, the Williamson family, had long resided there and had flourishing coal and iron interests in the surrounding area. But eventually, Ramsdell Hall was vacated, and it must have been an amazing day when Thomas and Emilie finally set foot in their ancestral home and its opulent grounds.What celebrations there must have been. The Lowndes were home and would remain so for the next thirty-five years. Rosalind and Tommie must have gazed in wonder at their new surroundings, exploring the lakes and woodland which was now theirs. 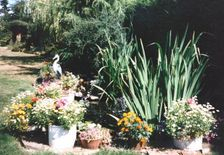 Emilie could pursue her horticultural interests, and as a painter, she now had a different landscape to work in. At this point, I should clear up the question of the family surname. Thomas was born Thomas Chaddock, and his children were born Rosaline Blanche Horner Chaddock and Thomas William Chaddock. His mother was born Elizabeth Lowndes, but by the terms of her father’s will, by which she inherited the family fortune, she had agreed to add the name Lowndes to her married name of Elizabeth Chaddock. Her husband William had agreed to these stipulations too. However, all her children had been born and registered as Chaddock, after their father because they were born before the announcement of the Will. She herself remained and died Elizabeth Chaddock. Thomas, himself, became know as Chaddock-Lowndes sometime after Rosalind and Tommie’s births (they were both born Chaddock) and before the birth of Pauline, Iris, Ione, and Roddie. Cheshire BMD has them registered as Lowndes, but other sources say they were born Chaddock-Lowndes. No doubt that Chaddock was on the birth certificate but that Lowndes was considered the main surname. The censuses of 1891 and 1901 has Thomas recorded as Thomas C Lowndes and his family also have just the C. So Lowndes has taken precedence over Chaddock here. What we do know is that the family were now all known as Chaddock-Lowndes and Rosalind’s marriage to Francis Cartlidge shows this, as do her siblings’ marriages thereafter. 1890 was a year of both delight and tragedy for Thomas and Emilie. On May 20, Pauline Grace was born, and one can imagine her parents delight, and Rosalind and Tommie’s joy too.They had a baby sister! However the familiy’s joy was short-lived because three days later, Pauline died. Thomas had known enough tragedy in his early years and Emilie was turning forty soon. They were living in Congleton at the time, but soon they would finally take up residence at Ramsdell Hall. As 1891 reached its Autumn, Emilie presented Thomas with not one but two daughters. Ramsdell would ring to the sound of children’s voices after all. With the space and luxuries that Ramsdell Hall and its surroundings offered, they had the opportunity to start life anew, and what better than to fill the Hall with the sound of children’s cries and laughter. Thomas was now fifty-one and Emilie forty, and it had been eighteen years since the birth of Tommie. Both Ione and Iris were named after Greek goddesses in accordance with their father’s love of the Classics, and Greek Mythology in particular. 1892 must have been a wonderful year at Ramsdell Hall as these little twins found their feet and explored the treasures around them. 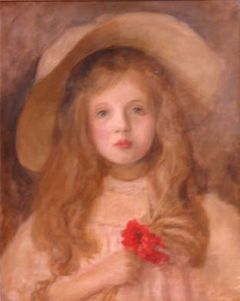 Emilie’s niece, Irene Procter would immortalise them in her oil paintings, and Emilie herself painted a portrait of Ione that to this day is admired by all who see it. 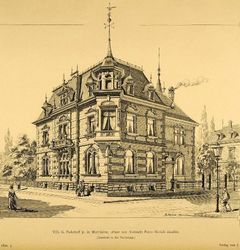 In 1893, Emilie had her last child, Roderick, and the family was complete. 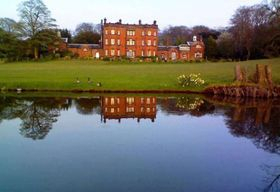 Rosalind married Francis Cartlidge, a sexton, the following year and moved to nearby Astbury. Sadly, she died at sea in 1899, another tragedy in Thomas’ life which had known a few. Tommie stayed at the Hall and eventually would manage the estates. Emilie developed her interest in roses, and Thomas pursued his interest in horse-riding. He was also a freemason at Eaton Lodge in Congleton. William Lowndes and his father before him must have smiled to see such youth and activity at the Hall they had built and nurtured. In their day, there had been no canal or station. Now it was easy for Thomas and Emile’s relatives to visit them and make the Hall a busy and vibrant place. In 1912, Thomas passed away, aged seventy-two, leaving 6,753 to his wife. A sizeable amount in those days, but less than one might have expected a man of his means to have. Six years later Emilie died on November 26, 1918, leaving £375 to her daughters. Again, this shows that the expense of running the Hall and Estates was considerable. Tommie, who looked after the Estate would have had his own income. Emily and Thomas had brought Ramsdell Hall back to life, and Elizabeth Lowndes had lived long enough to see two grandchildren. Thomas had the following motto on his personal notepaper: "PRO DEO ET PATRIA" which means " For God and Country". Now we must go back in time to the Chaddocks and the Lowndes and meet Thomas' mother and grandfather.